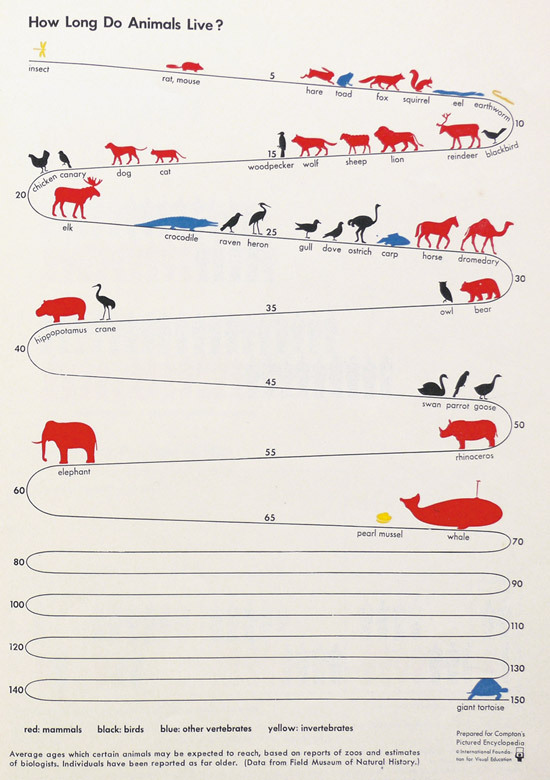 Then there’s ISOTYPE – the International System Of TYpographic Picture Education. 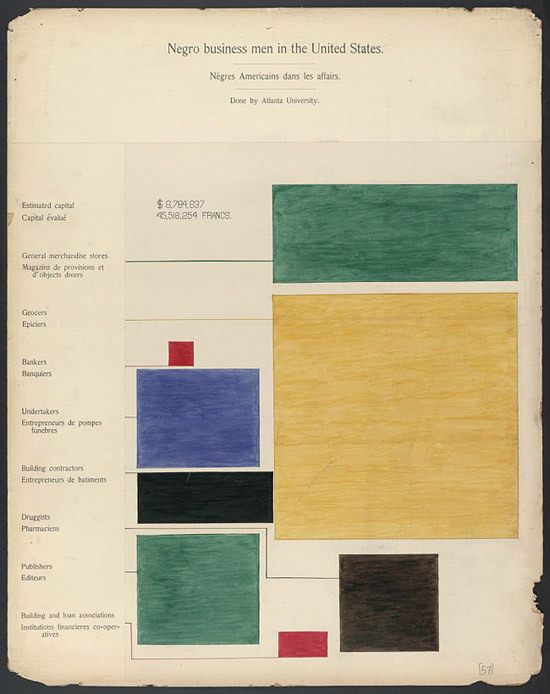 It was an early infographical form, originated in the 1930s by Austrian philosopher and curator Otto Neurath “as a symbolic way of representing quantitative information via easily interpretable icons.” Again, it’s eye-popping how modern these images look. Despite being fashioned from woodcuts and hand-printing methods. Gorgeous. 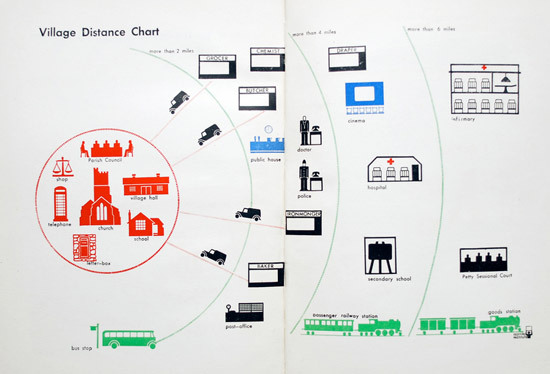 The vibe of ISOTYPE, and its tight visual language, depended heavily on the pictographic work of German artist Gerd Arntz. He developed over 5000 icons and pictograms, which formed the syllables of the ISOTYPE language. His work has had a strong influence on modern iconography. Gerd Arntz: Graphic Designer (look inside) is gorgeous book, recently published by 010 Publishers, celebrating his work (Amazon UK | US). (Disclosure: they sent me a review copy). So infography has risen and fallen in history. Could it ‘catch’ this time? Feels to me like it could. There’s now a viable medium (the web) and an increasingly visually-literate audience. But, again, is that my conceit? 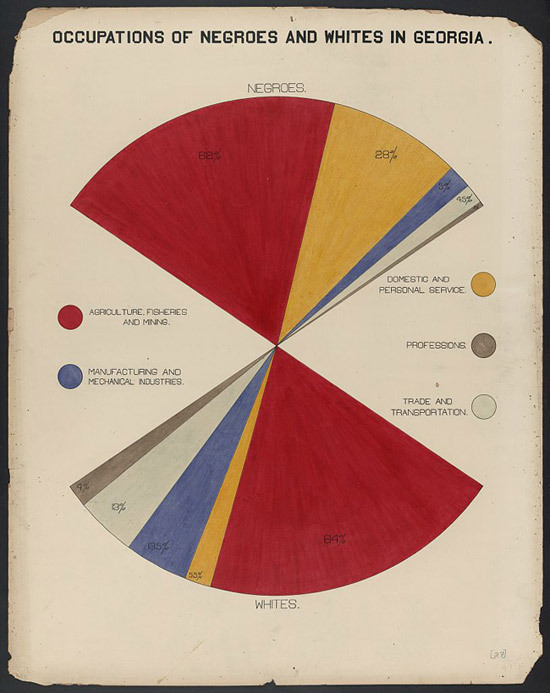 Could infographics and visualized information wipe-out again?